We are an active shul with a robust calendar of events and activities planned by dedicated volunteers. The following list of committees is for your convenience. 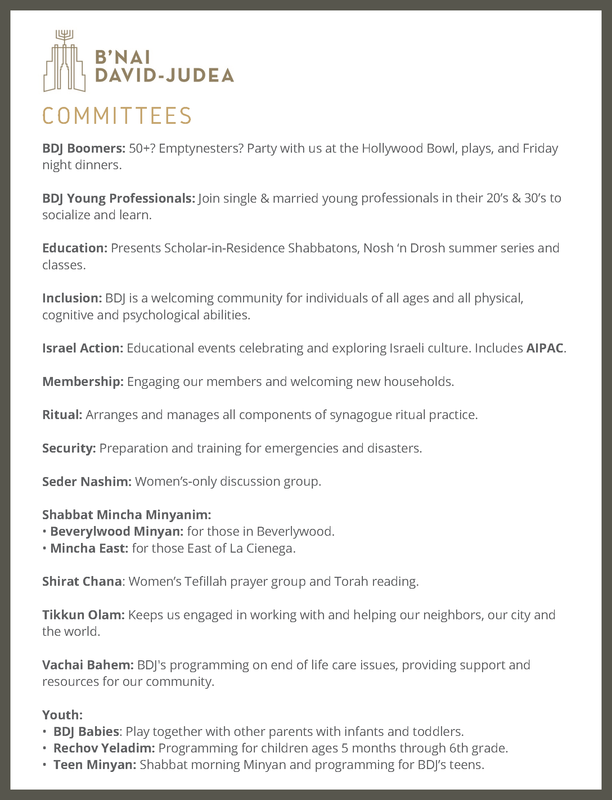 If you have any questions or want to be in touch with a committee chair, please email hello@bnaidavid.com. We look forward to welcoming your involvement!